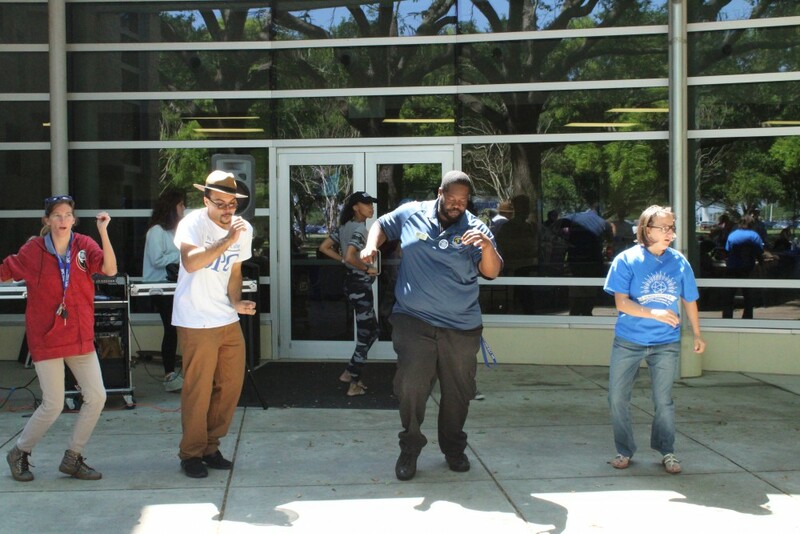 Clearwater campus celebrated National Courtesy Day Thursday, March 21, 2019. Courtesy can be defined as polite behavior, doing something because it is polite and kind, and behavior marked by polished manners or respect for others. These are definitely traits worth celebrating. 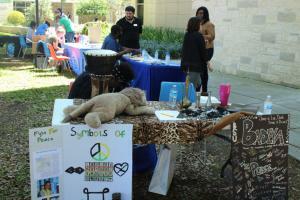 This event celebrated Courtesy Day by providing free food, crafts, and music to the students of SPC. 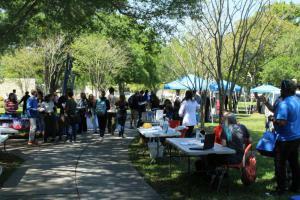 The event was planned by student government. 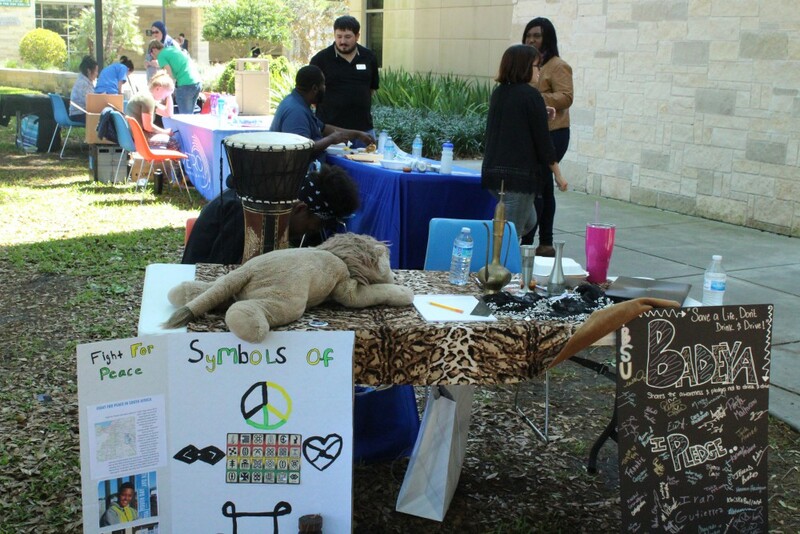 They decided what they would like the event to be about and what kind of booths and activities would be there. 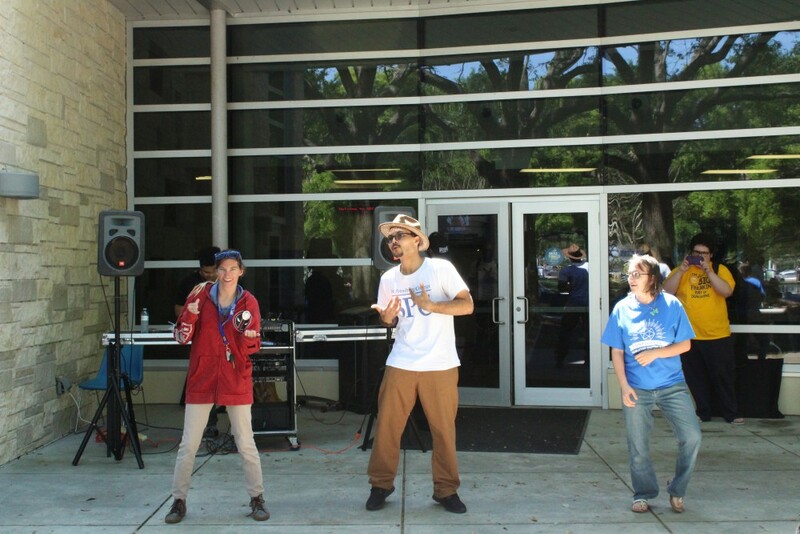 Then, they handed the idea off to student life and leadership coordinator, Stephanie Henningsen. She explained that once the students planned an event, it was her job to call the vendors, the catering company, and set up the event. Free lunch was served at this gathering for any student with a valid SPC ID, and nothing draws a crowd like free food especially when it’s barbecue. 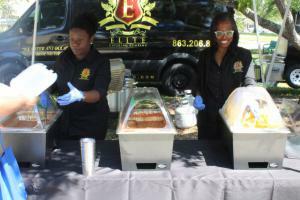 Chicken sandwiches, baked beans, and corn on the cob were served by Elite Catering Company. 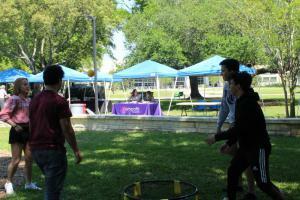 “Students are always served first at these events,” Ms. Henningsen noted. 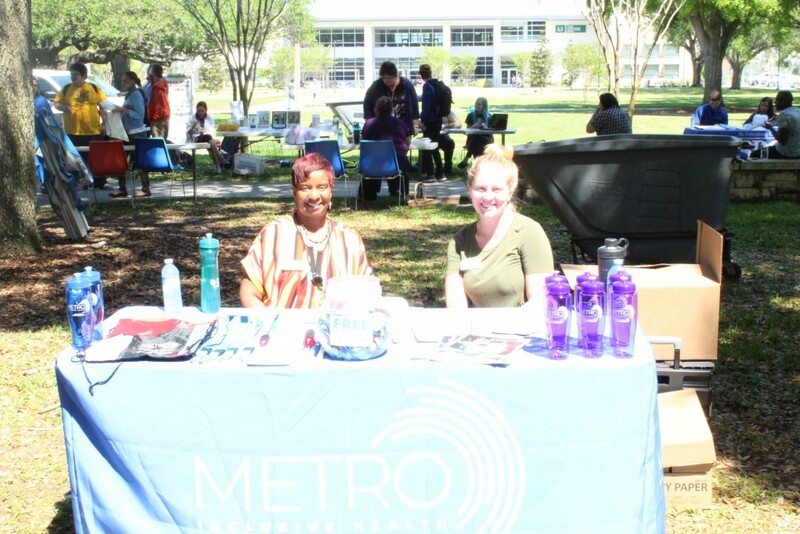 She explained that because the money they get comes from students’ tuition, it’s important that they are served first and enjoy these events. Food was not the only thing to be enjoyed at Clearwater’s courtesy celebration. There was also a student DJ there, De Laun Wesley, an English/music and theater major who kept the mood fun and lively throughout the afternoon with song choices that even inspired people to get up and dance. When they weren’t eating lunch or enjoying the music and fun atmosphere, the students got a chance to explore the multitude of tables set up with local vendors, organizations, and SPC clubs, letting them know what they had going. 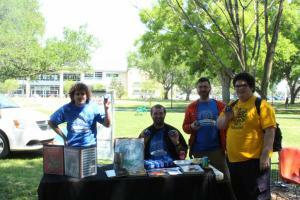 They were giving out flyers, stickers, pamphlets, and candy to the students and telling them what they had to offer. 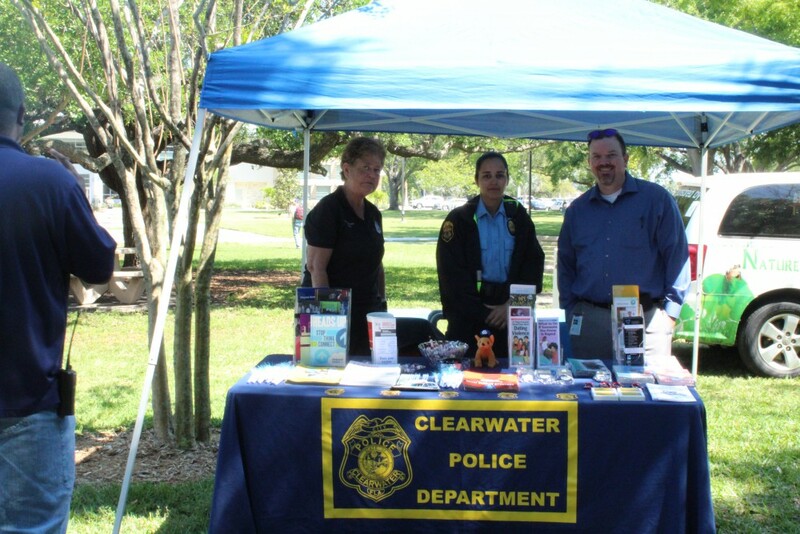 The Clearwater Police Department was there letting students know about all their special programs and offerings, and they had a representative from the police aid program to let students know how to get involved if they were interested in joining law-enforcement. There was even a live bald eagle named Sarge at the Friends of Largo Nature Park Booth from their “adopt a raptor bird” program. 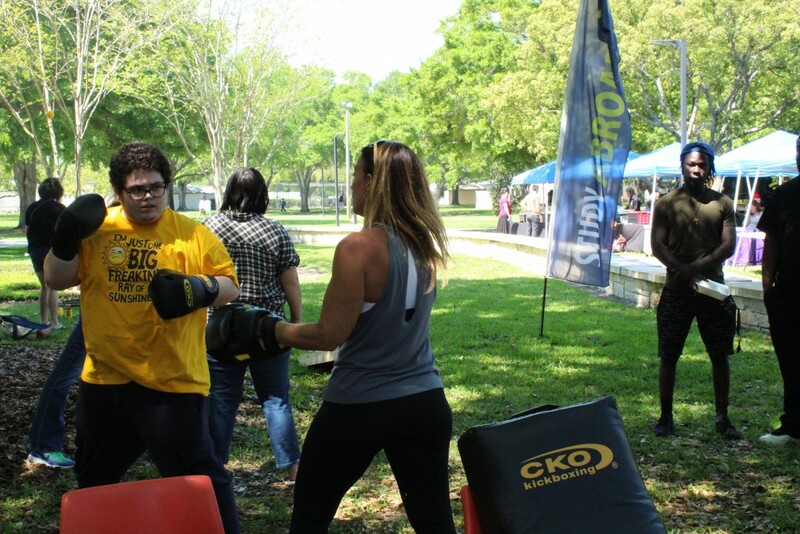 There were also local groups from the community like Calvary Church college ministry and Clearwater neighborhood family center. 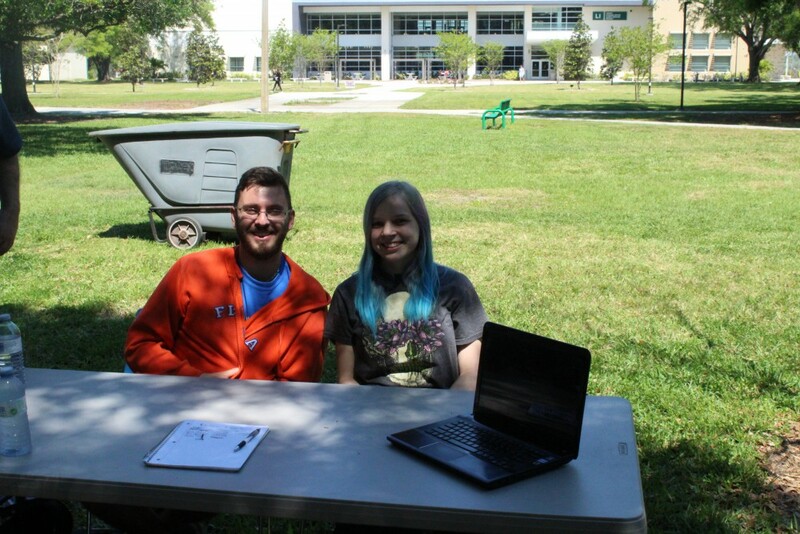 Along with them, there were representatives from UF/IFAF and a recruiter from the Allstate Center, letting students know about their programs and clubs like the multicultural club the boardgames club and the SPC Veterans Association to remind students different ways they can get involved around campus. The marquee vendor, however, was the trash to treasure craft where students were able to make jewelry using beads and recycled items. 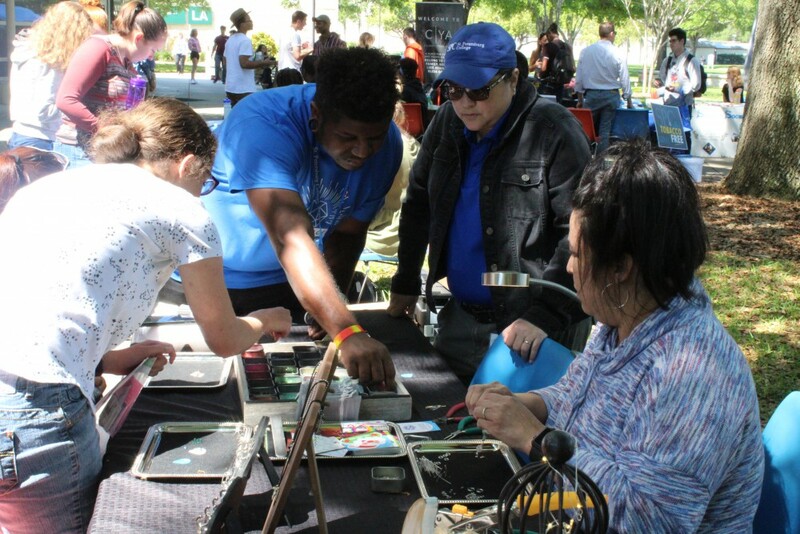 They decided if they wanted a necklace, bracelet, or keychain and the used items like bike chains or gift cards cut in the shape of a guitar picks to decorate their craft. There always seemed to be a group of students hovering around the table during the event, and SPC students, Cassandra Norris and Van Le, said that they enjoyed the event but their favorite part had been this craft project. Overall, the event was a smashing success and a lot of fun, and with free food and fun activities, students were exposed to helpful organizations and businesses they can get involved in and enjoy in their community. 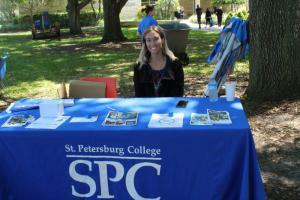 SPC students who attended this event should be able to look back on National Courtesy Day and smile. For anyone interested a list of the vendors present and the representatives stationed there is provided below. 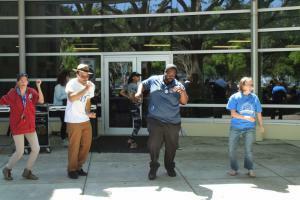 Calvary Church college ministry, Monday nights, 678-920-9515, and Tuesday nights, 808-840-9080, more contact info on https://calvary.us/college/. 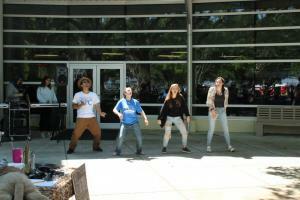 Representatives, John, Hannah, Rachel, Andrew, Tajh. 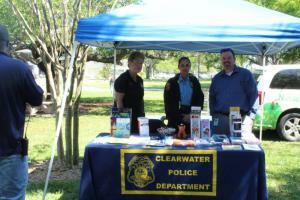 Clearwater Police Department, Non-emergency contact (727) 562-4242. Representatives, Belinda Darcy- victim advocate, Bethany Nin- police aid, Sean Hauer. 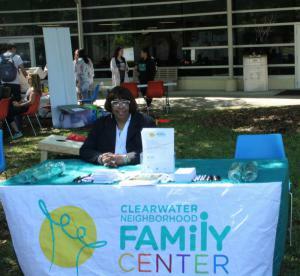 Clearwater Neighborhood Family Center, Contact online at http://www.clearwaternfc.org/. 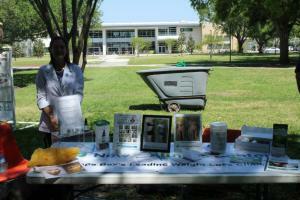 Offers afterschool program, summer camp, free notary and faxing, clothes drive, and food drive. Representative, Erma Boateng. 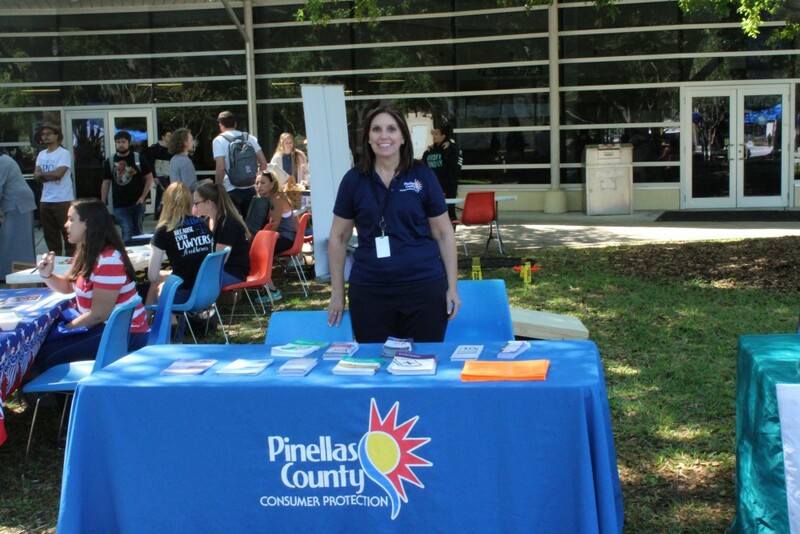 Pinellas County Consumer Protection, (727) 464-6200. 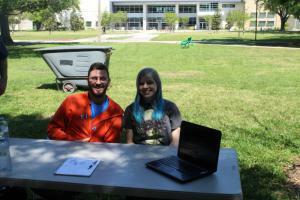 Investigates consumer-business disputes letting students know about their services. Representative, Anna Marie Millett. 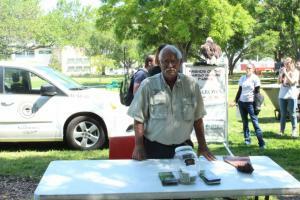 Friends of Largo Nature Parks, contact information online at http://www.natureparkfriends.org/. 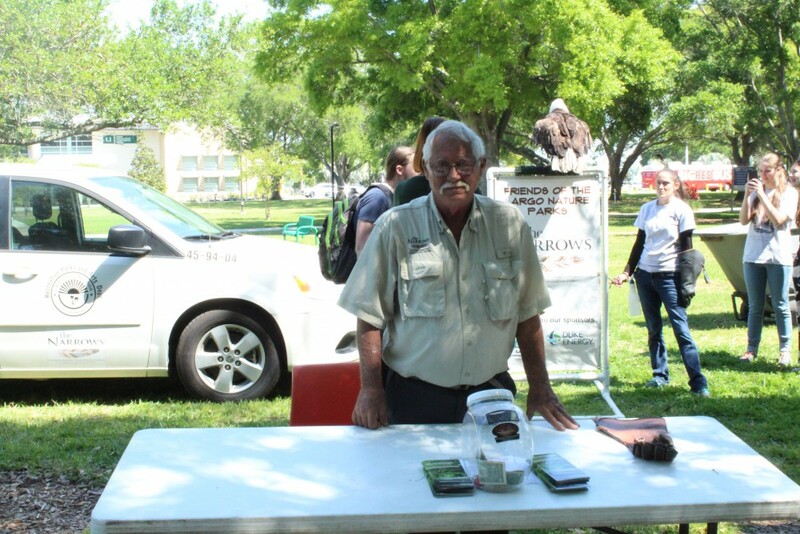 A non-profit organization that sponsors their bird program. 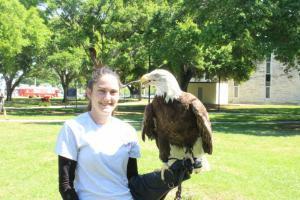 Representatives, Patrick Bradley, Ria Warner, Sarge the eagle. Metro Inclusive Health, (727) 321-3854. Non-profit, free daily HIV and AIDS testing groups and volunteer opportunities. Representatives Karlie Gallagher, Julia Ingram. 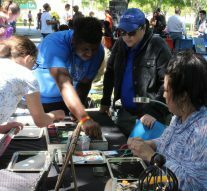 Trash to Treasure, find them at https://everythingbutthemime.com/act/trash-to-treasure/. Representative, Bobbi Brookes. 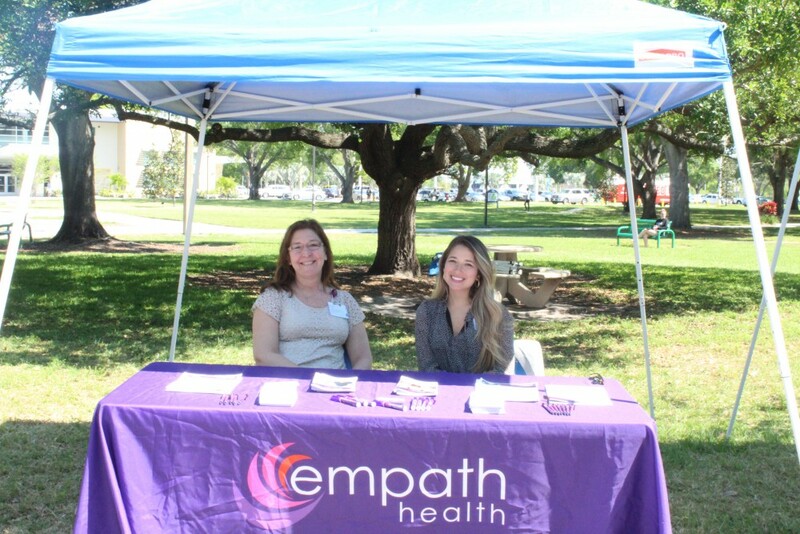 Empath health, heath and care services, contact online at https://empathhealth.org/. 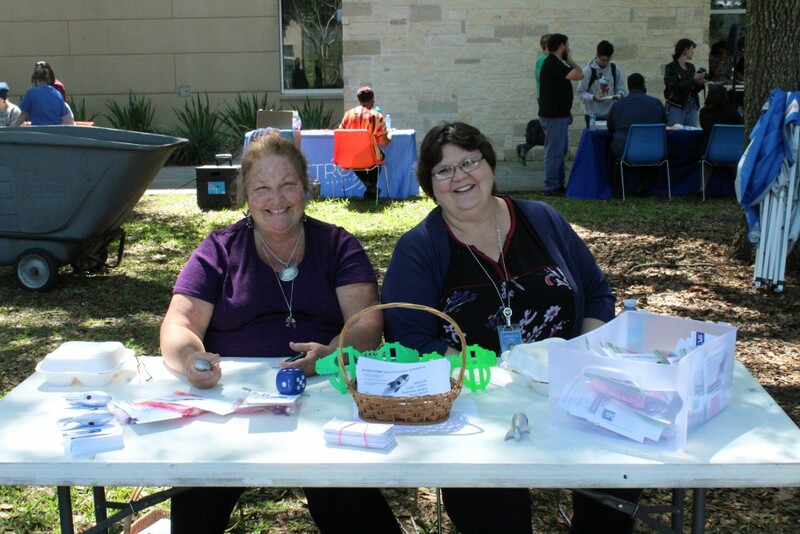 Representatives, Patricia Roller and Broole Fitgerald volunteer coordinator. 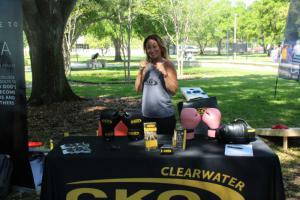 CKO, kick boxing, (727) 303-1347. Representative Beth Pensky, owner. 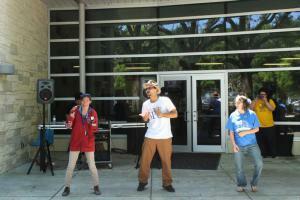 New Wellness Centers, (727) 215-8239. Representative, Angela Porterfield, clinic director. Allstate, public safety programs, find contact information online at https://go.spcollege.edu/Allstate/#tab=6. 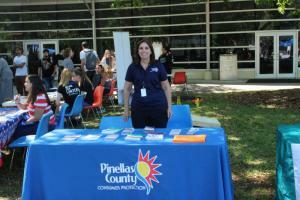 Representative, Jacqui Kane-center recruiter. 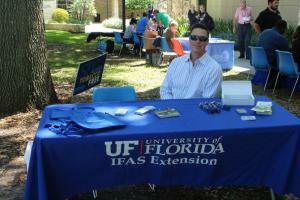 UF/IFAS, Pinellas County extension director, Jeffrey Gellermann, Jpgeller@ufl.edu. 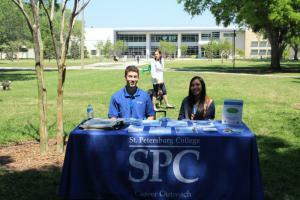 SPC Clearwater campus financial aid, 727-791-2485. 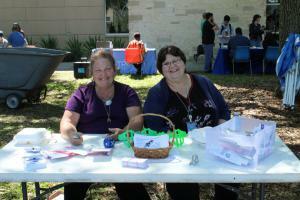 Representatives, Diane Knoblauch, Alice Marks. SPC Student Government, promoting Good Vibes Only Music and Art Festival. Representative, Chelsea Echols-President, Nathan Dean-Treasurer. SPC Clearwater Career Services, Benavides.Joseph@spcollege.edu /(727) 791-2622. 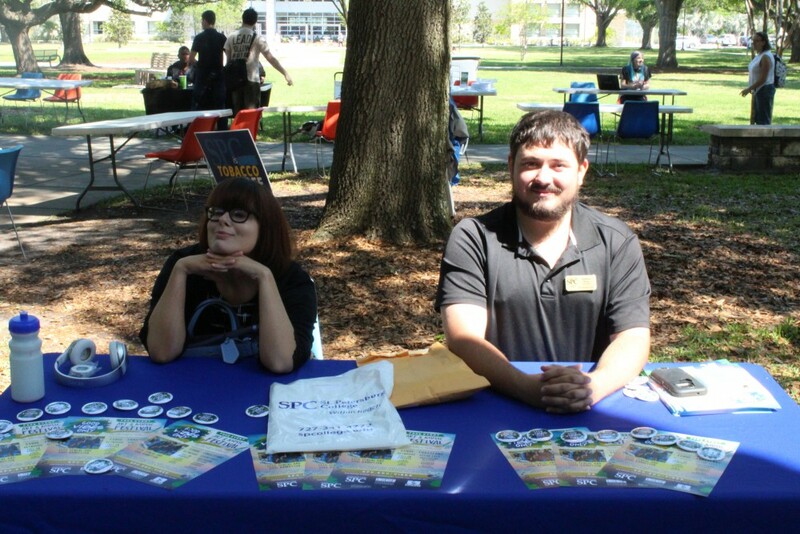 Representative, Dean Patricia Watts, Adam Kayne. Multicultural club/ international study abroad opportunities. 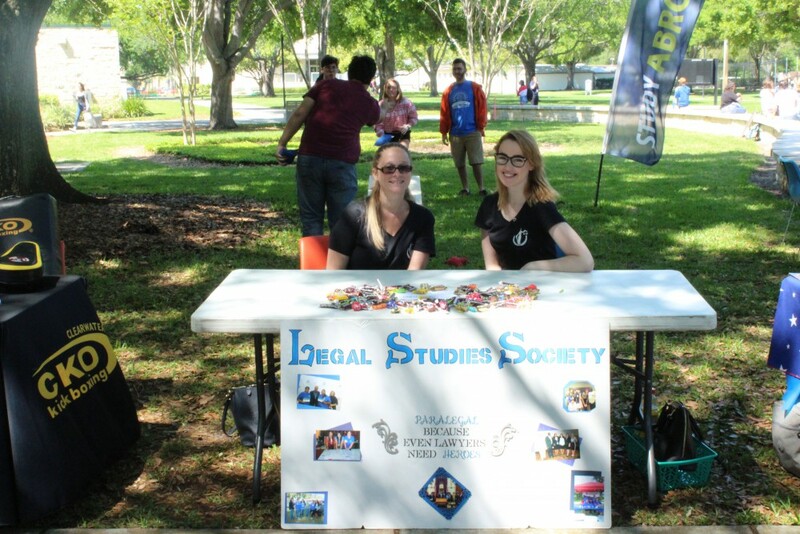 Representatives Angela Cole- adviser, Cole.Angela@spcollege.edu, Larissa Federmonn- President. 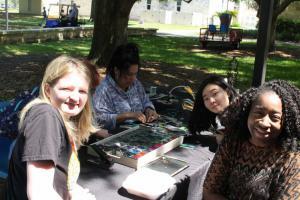 Unplugged SPC Tabletop Gaming club, contact the club’s advisor at marsh.ryan@spcollege.edu. 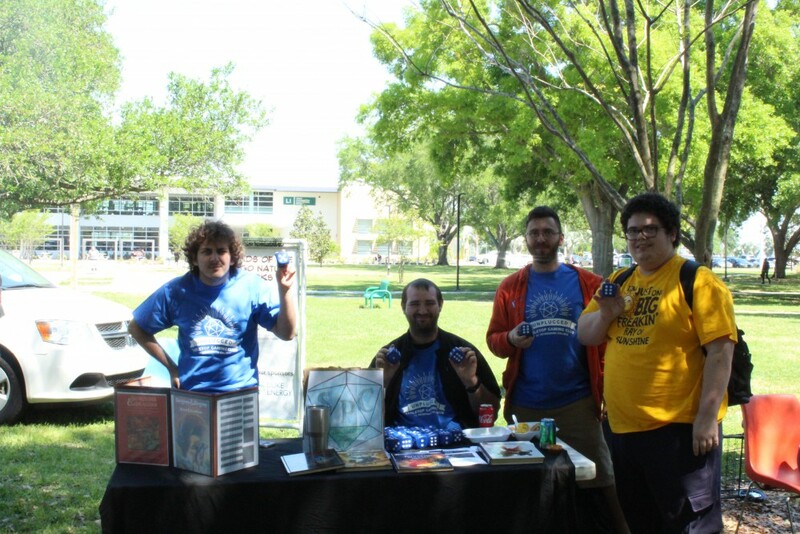 Representatives Kalvin Rosekrans, Mark Monroe, Anastasia Mighion, Joshua N. Figueroa. SPC Legal Studies club. Representatives Tera Frazier, Callie Barnes. 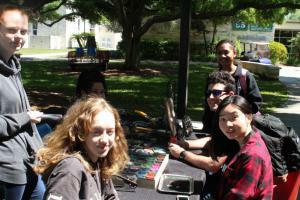 SPC Electronic Sports team club. Representatives Sierra, Anastesio. SPC BSU Badeya club. Representative, Davida-Treasurer, Marcus Quash. 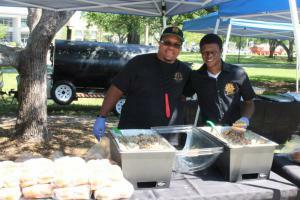 SPC veterans association, svaclearwater@gmail.com. 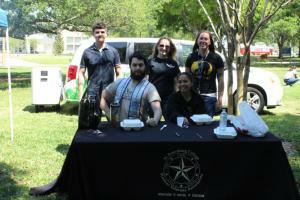 Representatives, Michael Krajnik- Treasurer, Dakota Todd-Vice President, Angelic Joy-public information officer, Natalie Cote.